Small displacement engines have always been suitable for turbo charging especially when built ground-up for one. I really can't see the 1.6 being "pushed" too hard at 201hp and I'm sure a safe boost of around 3-6 lbs. There's probably quite a bit of undiscovered H.P. lurking inside via higher boost, bigger turbo or some electronic tweaking. It seems any 3 letter abbreviation just spells (abbreviates) trouble. If you lease, little of these things need really concern you as you'll only have to live with the misgivings a relatively short time. If you own however and keep a vehicle for 5-10 years, these shortcomings may be of concern sometime down the road. GDI: Later models may have valve timing changed to avoid/reduce carbon build-up. Short trips, especially start/stop, not driving long enough for oil to reach full operating temp, is not good for any internal combustion engine. 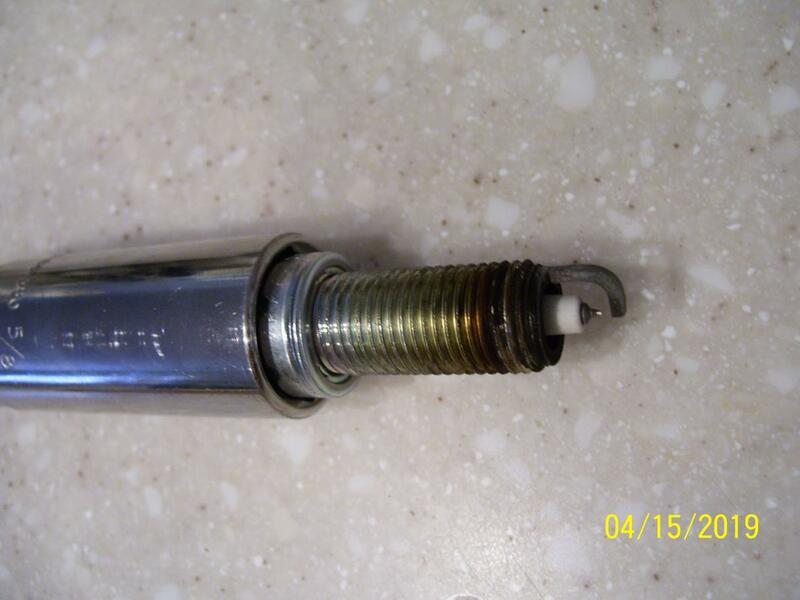 Attached photo of spark plug at 2546 miles was taken a few minutes ago. It is burning clean. CVT: Don't like the sudden increase in RPMs when accelerating, at least on earlier models. 2019 vs 2020: I like my 2019, especially since I added cruise, last week. 1.6 vs 2.0: Normally I go for the larger engine, but wanted a manual 6 speed, so I have the 1.6 GDI. b. Coming back from Death Valley last week, where Nevada highway 95 is a two lane I passed a truck, doing under the 70 MPH speed limit and hit 90 MPH as I cleared him, without down shifting from 6th. Cornering and steering is excellent, just in normal mode. Going over Jubilee Pass from Shoshone to Badwater was very enjoyable...approaching the satisfaction I had from my 2003 Miata/MX5. Only negative was the demise of too many butterflies. Last edited by SportsterDoc; 04-15-2019 at 09:00 PM. 2016 base stick, no issues accelerating up to 110mph. Takes a bit to get there once you're over 95-100, but it'll get there at a decent clip. My wife averaged 36mpg at 33psi tire pressure driving highway stints inside the city limits. You shouldn't need to overinflate and compromise grip to get good gas mileage out of the car. Engineer/techy guy. 90 CRX, 03 S2000, 08 Frontier, 09 Mazda 5, 16 Soul. All stick. I guess one of you even drove a 6 cyl car that is rated "only" 170-200HP. The noise, vibrations, that this little 2.0L 4 cyl engine does in order to deliver the power is astonishing to me. I test drove 1.6L engines, all the newer GDI engines, and they are even worse. My Sonata with 2.5L DOHC V6 (yr 2000, belt timing), with only 162HP, sounds so much nicer when accelerating hard. Why? I don't know... typical V6 balancing versus I4 banging? Maybe the mechanical adjusted, solid, lifters versus hydraulic ones? Same for my other 3.0L Ford DOHC engine (2001, chain timing). Also, over-inflating the tires over the label value doesn't improve any gas mileage. Just adds wear to the tires and stress on the suspension components. Engineers that designed that tire label were not idiots. Last edited by SoNic67; 04-16-2019 at 10:36 AM. Sonic Said: "I guess one of you even drove a 6 cyl car that is rated "only" 170-200HP." Well...I Do drive a 1987 300zx that does fall into that category. The whirring noise that comes from under that hood is unmistakably Nissan ZX! No ball of fire but torquey enough to satiate as a daily driver, especially if you don't over drive the 30+ year old chassis. My wife averaged 36mpg at 33psi tire pressure driving highway stints inside the city limits. Yes, lower speeds are even more economical. On my 300+ mile Death Valley trip, the last leg of ~112 miles from Beatty to home, was at a median speed of ~75 MPH, with one burst to 90 MPH to pass, still averaging 37 MPG. 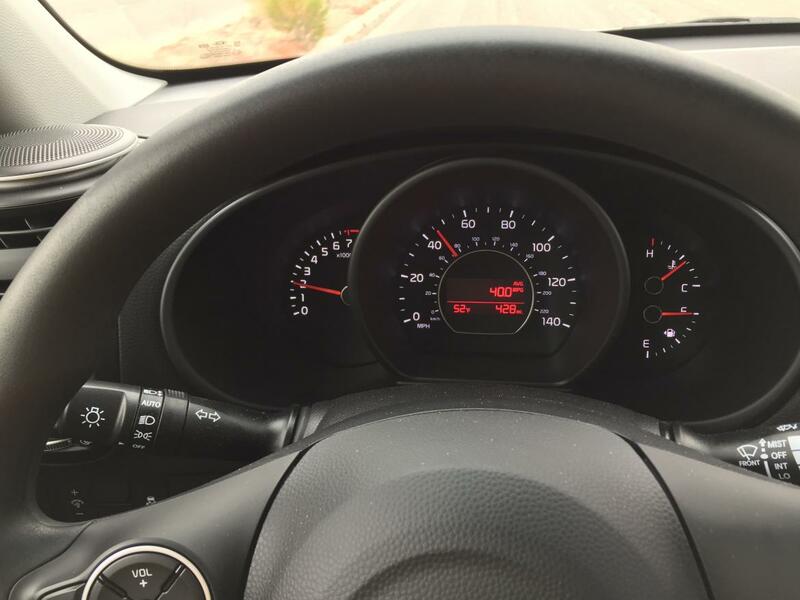 Whereas driving around Lake Mead at 45-55 MPH yields 40.0 MPG. Last edited by SportsterDoc; 04-16-2019 at 02:00 PM. Also, over-inflating the tires over the label value doesn't improve any gas mileage. Just adds wear to the tires and stress on the suspension components. Door sticker and manual recommend less, primarily for comfort. More inflation = less sidewall flex. The slightly harsher ride is barely perceptible. What MPG do you get at door sticker PSI? With the sale of my 2014 Honda CB1100 (1140 cc 4 cyl 0-60 in 3.3 sec) the 2019 Soul shares our garage with a 2016 Nissan Frontier 4WD. It is great for trips to our Arizona ranch. The 4.0 is a stroked 3.5 with great torque. It is close to perfect (not the best turning radius) for our use, but the Soul 1.6, idling at only 650 RPM is smoother. BTW, according to a friend, who was a Nissan service manager, the Frontier and Z are the most reliable of late model Nissans. Max inflation is just that - MAXIMUM. They can be used in variou scars, not only in yours, so they have to be covered. And that pressure is "MAX" while they are hot. Do you think that the OE tires have less "max inflation" written on them??? The sticker applies for any tire you install. If you think you know better then the people that made the car, more power to you. Just don't complain when you will have bad ball joints, leaky shocks, squeaky bushings (and generally a more "wobbly" car due to those issues). Or when you hard break and end up sliding in someone's rear end, because your tire contact patch is smaller than normal. Or when you take a turn too fast on rain and do a 180 into the guard rail, for the same reason. Last edited by SoNic67; 04-16-2019 at 07:00 PM.